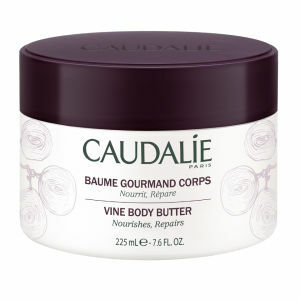 Caudalie Vine Body Butter is a rich and velvety cream that nourishes and conditions your skin. Formulated with grape oil, shea butter and vinolevure®, it absorbs quickly to relieve any areas of dryness or tightness, leaving your skin soothed, calmed and comfortable. Ultra-nourishing, this lightly-scented cream will leave your skin smooth, supple and touchably soft. - L.M.